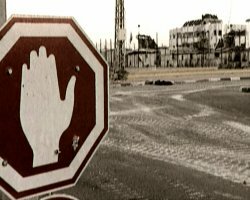 The Junction is an obscure crossroad in the Gaza Strip, separating the Israeli settlement of Nezarim from the Palestinian refugee camp of Nussierat. Ringed by a teeming Palestinian neighborhood, the Junction became a battleground in September 2000 when the Second Intifada erupted. 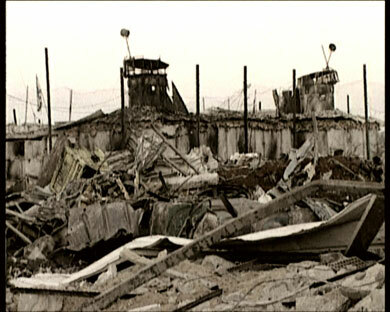 The violence destroyed many lives there, Palestinian civilians and Israeli soldiers. Once a busy intersection and a flourishing neighborhood, it is now a desert. The film reaches far into the social fabric of both Israelis and Palestinians to explore the culture of death which both stems from and feeds the violence currently consuming both societies. Ilan Ziv was born in Israel in 1950 and came to the United States after fighting in the Yom Kippur (The October) War in 1973. Ilan Ziv is a graduate of New York University film school, and in 1978 he co-produced New York's first Middle East Film Festival. That same year he founded Icarus Films, an educational film distribution company, which he left in 1980 in order devote himself to making documentary films, and since then he has directed dozens of documentaries dealing broadly with issues of human rights, the Palestinian-Israeli conflict, and investigations of contemporary history.